La Stüa dalla A alla Z, tutto ciò che volevate sapere! 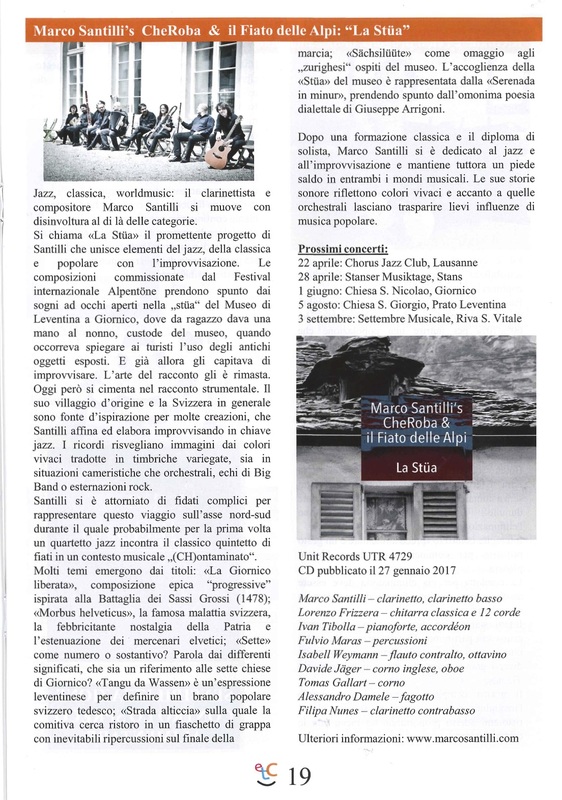 Download the article that gives a good overview about my project “La Stüa” performed with the nonet CheRoba & il Fiato delle Alpi. Don’t miss the tour dates in 2017! Published in ETiCinforma on March 11, 2017.